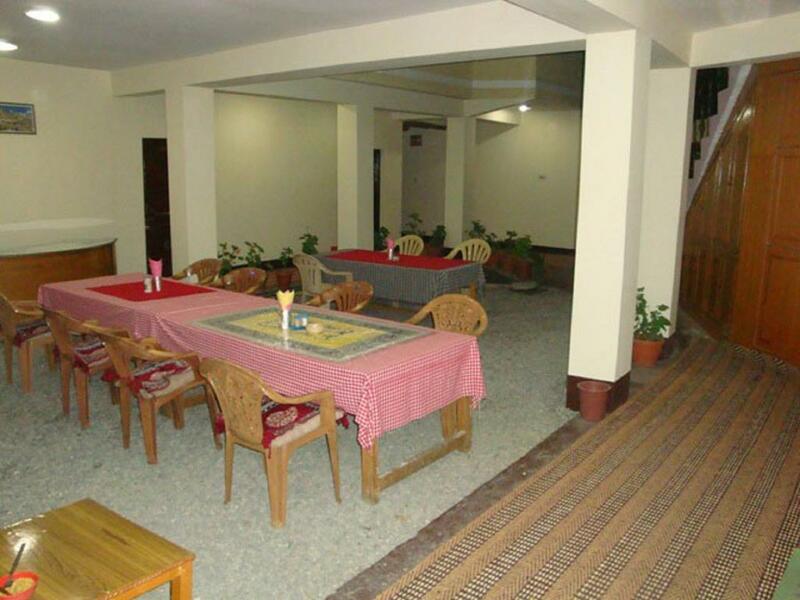 Offering a restaurant, Alimjan Guest House is located in the picturesque Leh. Free WiFi access is available in the rooms of the property. Each room has a satellite TV and desk. Private bathroom also comes with a shower. You can enjoy mountain view from the room. At Alimjan Guest House you will find a 24-hour front desk and a terrace. Other facilities offered at the property include tour desk and luggage storage. Room Service, Backup Generator, Internet/Wi-Fi, Doctor on Call, Major Credit Card Accepted, Airport Transportation, Family/Child Friendly, Parking, Laundry Facilities, Taxi Service. Dustbins, Internet Access, Complimentary Newspaper, Balcony/Terrace, Desk, Luggage Rack, Air Conditioning Room, H/C Water, Attached Bathroom, Telephone. Restaurant, Parking, Laundry Facilities, Doctor on Call, Room Service. User reviews for "Alimjan Guest House Leh"